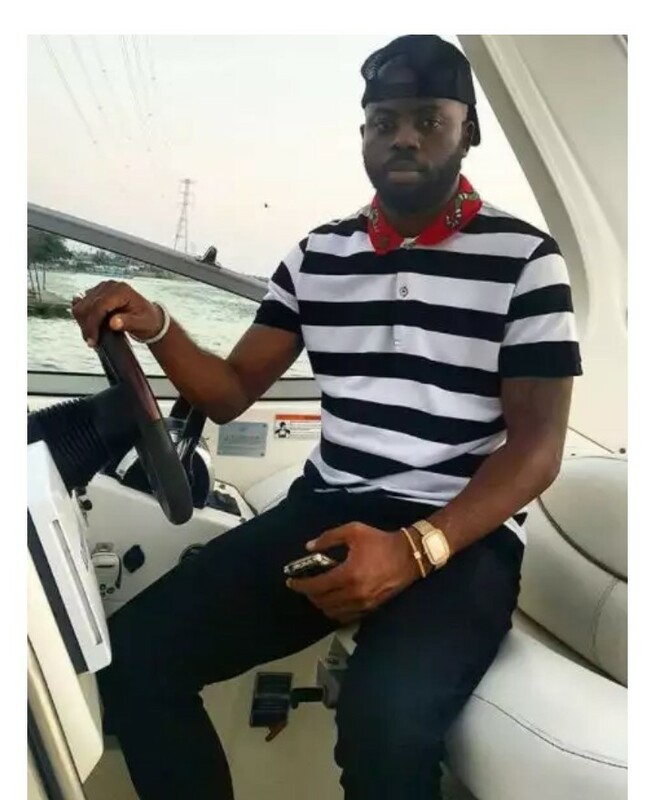 ns to kill him if he keeps bothering him. 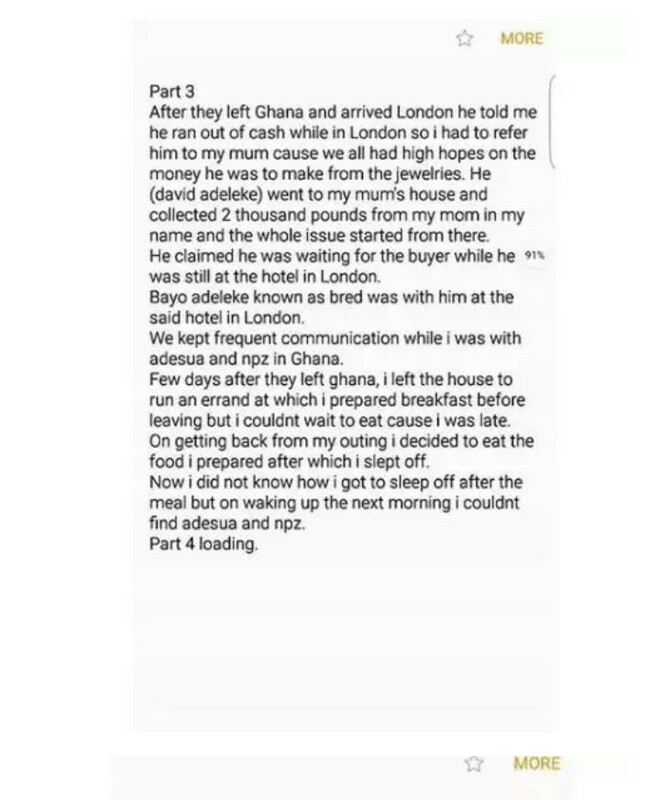 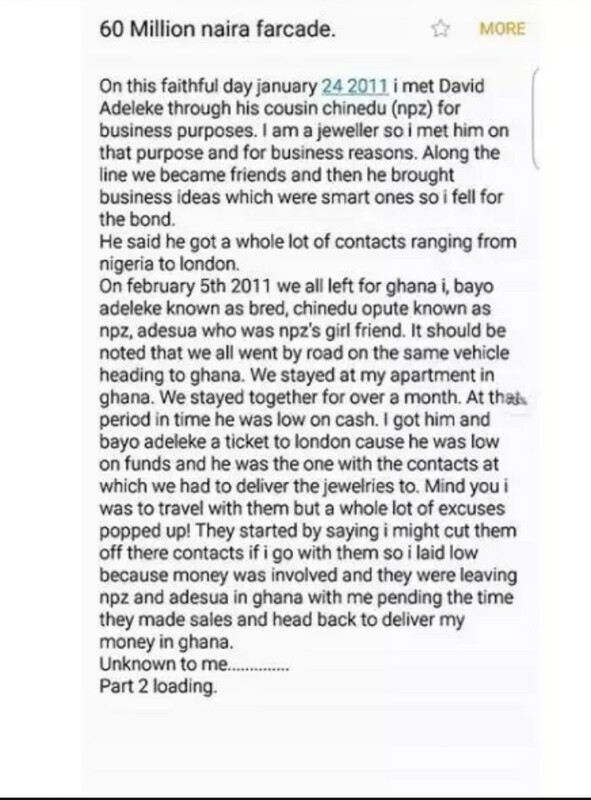 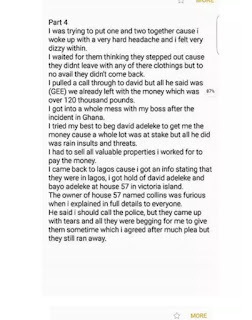 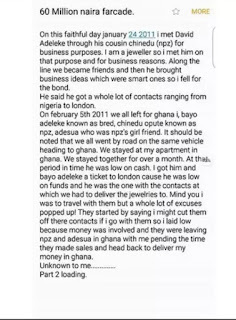 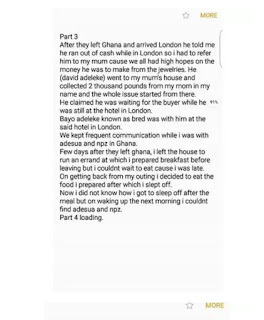 Afolabi Kazeem, who claims to be in jewelry business has accused Davido of not keeping his end of the deal after he made an investment in the said business in 2011. 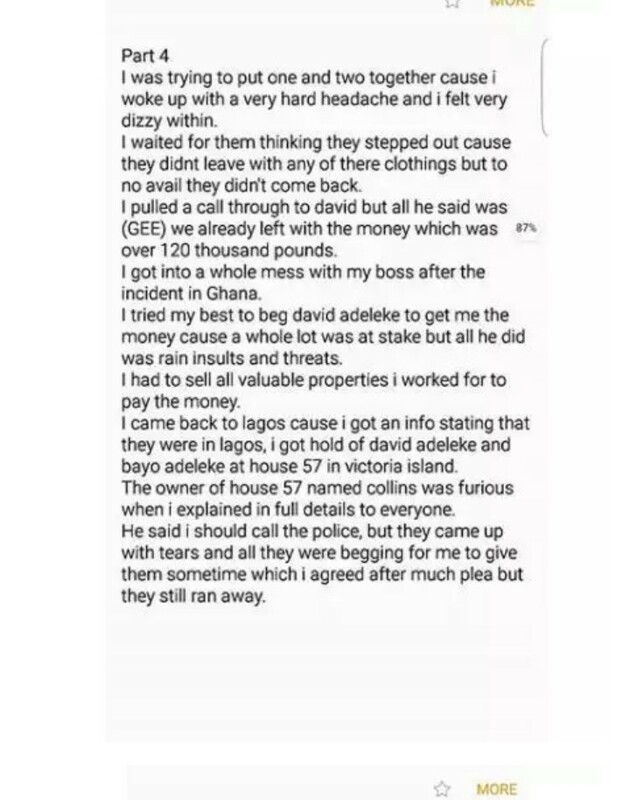 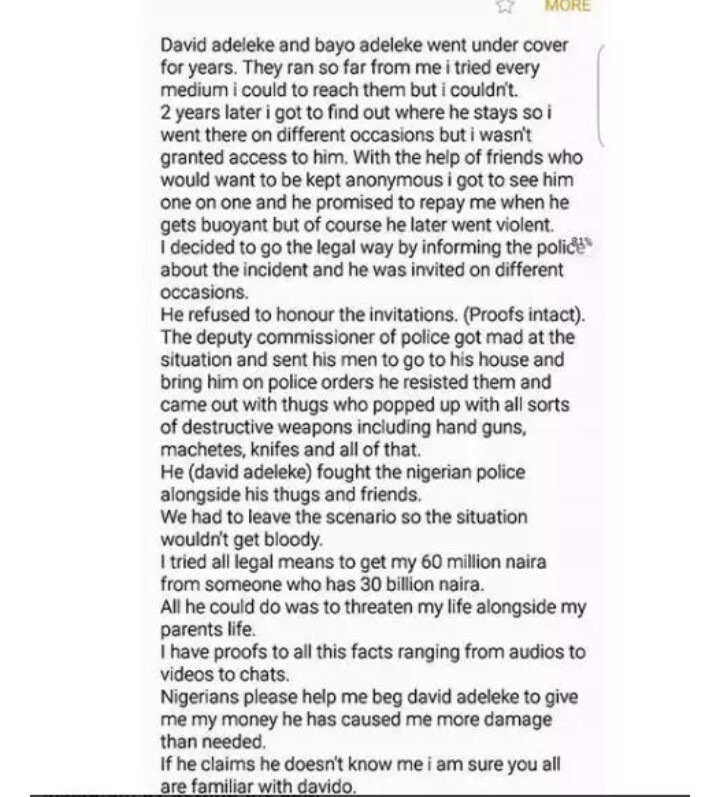 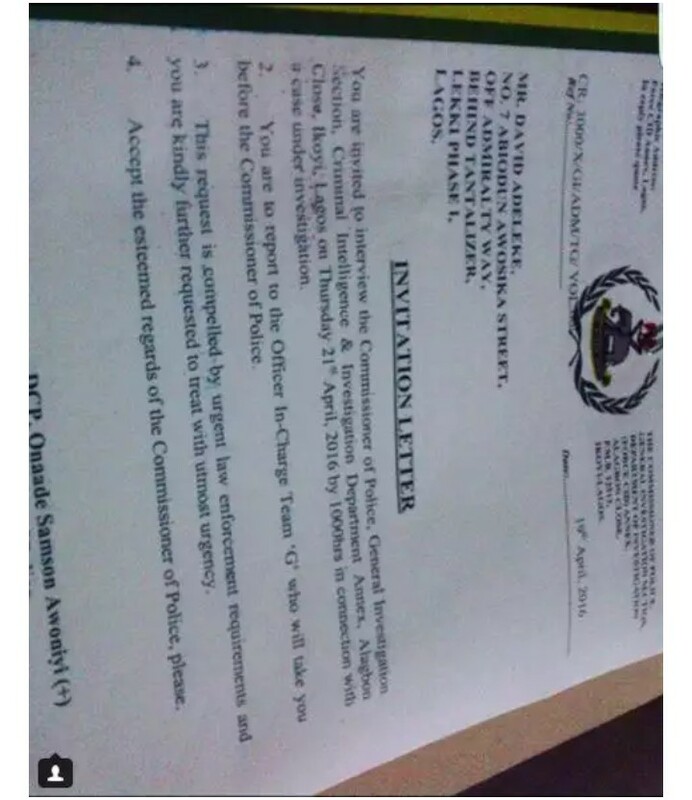 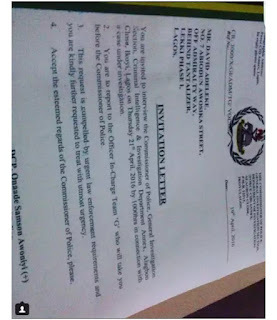 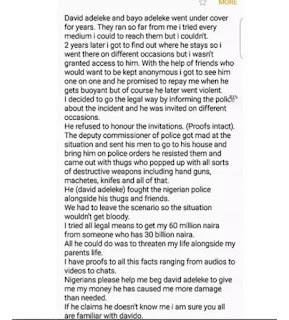 Attached are evidences of his accusation and details of the said claim by Afolabi Kazeem.